How Many Points were Earned with the Chase Sapphire Preferred? Who is the Chase Sapphire Preferred Card for? Decision Time: Is the Chase Sapphire Preferred the Travel Card You Need? Using credit cards is an important part of life for many people. When you are using your credit card, you want it to be as convenient as possible. Those who are traveling regularly on business or for pleasure will want their credit cards to offer them good perks. For this reason, travel credit cards have continued to increase in popularity over the years. One of the most popular and prevalent travel rewards credit cards is the Chase Sapphire Preferred Card. It has been around for a long time and continues to offer customers robust and convenient perks. If you like to travel or if you need to travel regularly for your job, then it will pay to have a good credit card such as this in your wallet. You want to make sure that you are getting the very best travel credit card to suit your needs, though. 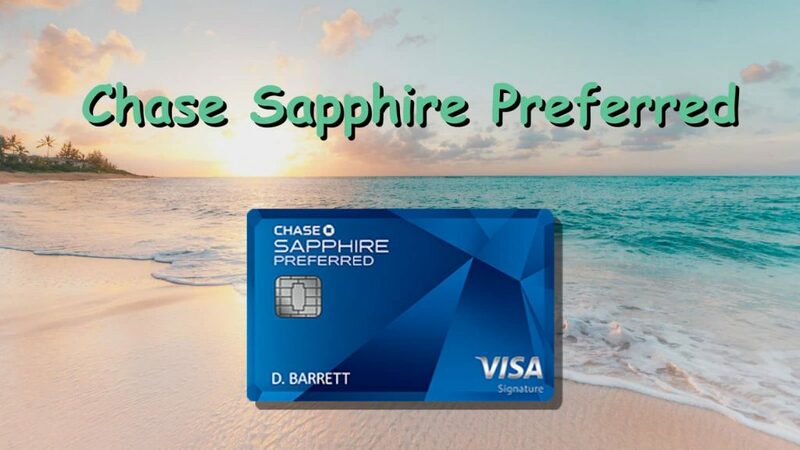 Take the time to read our review of the Chase Sapphire Preferred Card. It should give you all of the crucial information that you need to know. It will be a lot simpler to figure out just how good this card is and whether or not it is going to earn a place in your wallet. Every aspect of the card will be examined and you will have access to all of the important details. The value of one credit card introductory bonus can be of enormous value. 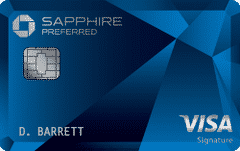 The Chase Sapphire Preferred offers a very nice signup bonus and good benefits. Credit card signup bonuses are the points or miles that a bank is willing to give you when you sign up for their credit card and meet an initial spending level that they designate. A typical credit card introductory bonus could be something like 50,000 points or miles for signing up for a particular credit card and spending $3000 on that card within the first 3 months of applying. The card that I refer to people who are interested in earning travel points through credit cards is most often the Chase Sapphire Preferred card. It typically offers 60,000 Chase Ultimate Rewards points after spending $4,000 within the first three months of having the card. The offer changes occasionally in how many points are offered or how much the initial minimum spend is. Whenever someone asks me what credit card is best to get first, I always ask them what they want to achieve with the points. Usually, the person asking has no idea, they just know that they want to travel more. In this situation, the Chase Sapphire Preferred card is one of the best offers around due to its versatility. It allows the customer to either spend their Chase Ultimate Rewards points directly with Chase or transfer to an array of airlines and hotels. The transferring of the points will typically give a more valuable redemption. 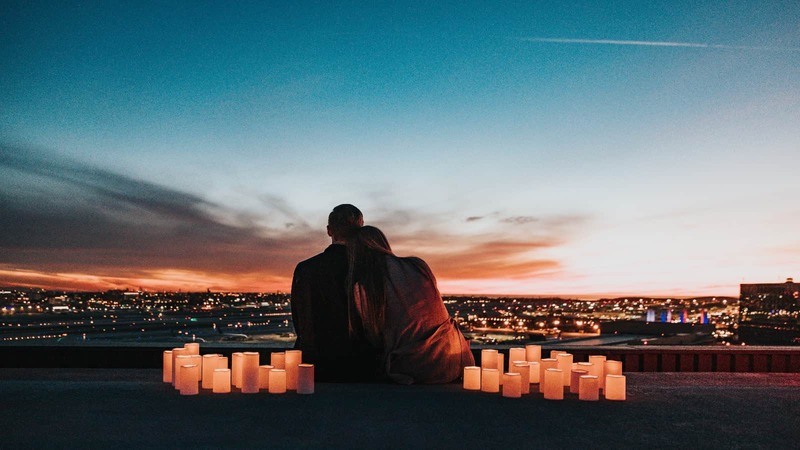 I’ll share a recent example of what the points from signing up for this one card, the Chase Sapphire Preferred, achieved for someone in real life. My sister-in-law and her husband recently took advantage of this offer to book all of the flights for their Hawaiian honeymoon! First, let’s go over the details of the Chase Sapphire Preferred. Chase mentions that this signup bonus is worth $750 worth of travel. While that’s true if booked through the Chase travel portal, I’m going to show you that those points can be worth quite a bit more. How much more? You’ll see… it’s pretty crazy! This is a full-featured credit card that is going to work out great for most people. It has the potential to earn you travel rewards at a very good rate. Most of the appeal of this credit card is going to have to do with the reward structure. Even so, there are some other interesting features that you should take note of. For instance, this card has the potential for a very big sign-up bonus. If you are able to spend a certain amount on your new credit card within the first three months, then you can earn a large number of points. This helps you to redeem rewards rather quickly and it is something that you can turn into real rewards fast. If a sign-up bonus is something that appeals to you, then you should know that this card has a good offer. Another great feature of this card is just how flexible the redemption options are. It is possible to redeem your points in the form of cash back or as gift cards. You can also choose to redeem your points in the form of travel. When choosing to book through Chase, you will be able to save an extra 20% of your money, increasing the overall value of those points that you have been earning. The travel options that you can make use of through Chase are all really good too. Chase has many different airline and hotel partners that will allow you to use your rewards points effectively. This should help you to get to where you want to go as easily as possible. If you want to have a great traveling experience while continuing to earn rewards, then using the Chase Sapphire Preferred Card is a fantastic idea. It should also be noted that this card can link up with the Chase Freedom line of cards. Using different rewards cards in tandem can help you to really maximize your benefits. If you use the two credit cards intelligently, then it will be possible to earn extra rewards points during travel bonus category months. This is worth mentioning due to the overall popularity of the Chase Freedom cards so if you have one already, then it makes getting this card an even more attractive option. As you might expect, this Chase Sapphire Preferred Card comes with many great benefits for you to enjoy. One of the most useful benefits is the purchase protection guarantee. You will be able to use this card while enjoying protections against certain problems. It has a $500 claim maximum per item and a limit of $50,000 worth of claims per account. You will also be able to make use of trip delay insurance while using this card. The trip delay insurance will offer up to $500 per ticket. You will be able to use up to $10,000 in trip cancellation insurance too so you can keep yourself safe from potential travel problems. This card even protects your luggage with $100 per day baggage delay coverage and luggage reimbursement insurance of up to $3000 per person. This card can also be used to help you out with your rental cars. You can use this credit card as primary insurance coverage for a rental car. This can keep your costs low and it will cover any issues with the car just as a normal primary insurance policy would. This is a very useful feature that is sure to help regular travelers out. Prices and fees are always going to be big factors in deciding how good a credit card is. If you are going to be using a credit card regularly, then you do not want there to be fees that are not agreeable to you. There is an annual fee that is associated with this credit card. That may seem like bad news at first, but it’s moderate at $95. After the first year, you are going to be paying $95 per year for the privilege of using this credit card. Overall, that is not too unreasonable. This falls in line with the fees that other credit card companies offer. It is a reasonable annual fee that should not come across as too much of a burden to you. The APR on this credit card is not anything that is particularly good or bad. It is a fairly standard APR that should work out pretty nicely for you. This is a card that keeps its fees lows and keeps its interest rates in a good range. You should be able to appreciate the customer-friendly nature of this credit card. Speaking of being customer-friendly, you will also be able to enjoy the perk of having no foreign transaction fees while using this card. This is an important feature for a travel credit card to have. If you plan on traveling abroad using this credit card, then you will not have to worry about being saddled with extra fees. It makes it easy to recommend this card for people who are going to be traveling outside of the country. This rewards program is going to be very helpful to people who travel all the time. You will be able to earn 2X reward points on all of your travel expenses. You will also be earning the 2X reward points on any of your dining expenses. This is going to help you to rack up the bonus points very quickly and redeeming the points for real rewards will always be easy. One good thing to note is that these categories are actually quite broad. For instance, the dining category is going to earn you 2X points on purchases at restaurants. This is also going to earn you the points when eating at a fast food restaurant while on the road. Even some delivery services will count for the 2X points so you will be earning points on pretty much all of your dining while out on travel. The same can be said for the travel options. Travel expenses will help you to rack up points quickly and this covers many categories. Of course, you will be earning 2X points on flights and hotels. This travel card is going to give you 2X points on various other travel expenses too. If you need to hail a taxi and you pay with your credit card, then that is going to earn you the double points. Paying for parking lots, toll bridges, riding on a train, taking the bus, car rentals, and many other things will all earn you the increased points. This means that you will be earning a lot of points no matter how you decide to travel. You can even earn points on local travel expenses while you are close to home so it is a very convenient credit card to make use of. This credit card really does make it easy for you to earn points. If you want to be able to earn travel rewards regularly, then you will have many chances to do so. This card gives you the double points on so many things that are associated with travel and dining. 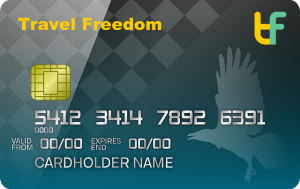 If you use this card often enough, then you are going to reap the rewards as a regular traveler. Redeeming the points is very intuitive overall too. Whether you are looking for simple cash-back options or you want to redeem gift cards, you will have options available to you. You can use the card in tandem with a Chase Freedom card to really open up your options for maximizing your rewards. Redeeming your rewards for travel will net you an extra 20% when booking through Chase, making it easy to book your next trip. You won’t even have to worry about foreign transaction fees if you are planning on traveling outside of the country. Being able to make use of the card to travel abroad is a nice feature. It makes it a practical option for many people and it might be the only travel credit card you will ever need. Simply being able to avoid the high foreign transaction fees of some other cards will save you a lot of money. The benefits of this card are substantial as well. You can enjoy purchase protections and trip cancellation insurance. Using this card will even protect you in the event that your luggage is lost on a flight. It is a very convenient card for any traveler so applying for it is certainly a good idea if you are regularly on the go. The annual fee that is associated with this credit card is not too bad but it is something that you should consider. Having to pay an annual fee will mean that you will want to get enough out of this card to justify it. This makes it so that you have to earn a certain amount of rewards per year to make it feel as if you are not wasting money. Depending on how often you travel, this may or may not be possible for you. People who do not regularly travel will not be able to take advantage of this card as readily. It may not wind up coming in handy as much if you only travel once or twice a year. This is something that is more geared towards business people and people who travel regularly for recreational purposes. Think about how often you will be using this card before applying for it. As with many good credit cards in this range, you will need to have a good credit score in order to be approved for this card. A credit score of 690 or above is recommended for you to take advantage of this card. If you fall in the lower credit score ranges, then the likelihood of getting approved is lower. Those with excellent scores will have no problem getting approved for this card so take the time to check your scores before applying. After applying for the card you’ll need to meet the initial minimum spend so that your bonus points will be released into your account. 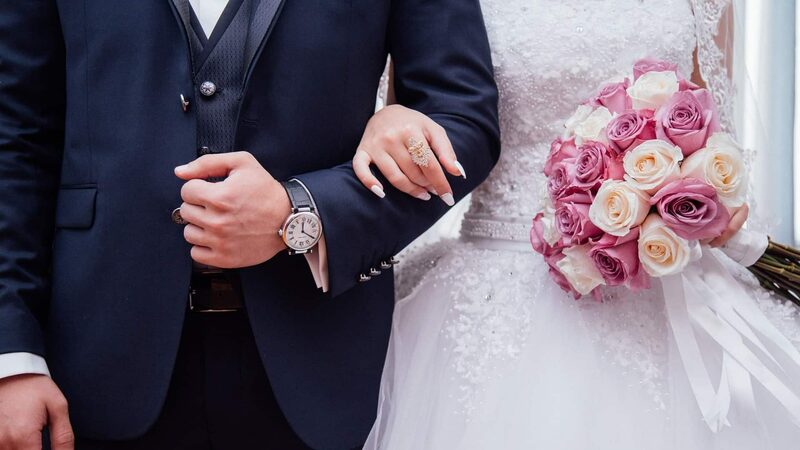 When Amber and Sean received their Sapphire Preferred, they had their regular spending, plus some of their wedding expenses that needed to be paid. This allowed them to easily meet the initial minimum spend. If you already spend $4,000 per three months, great! You’ll meet your spend just with that. If you don’t typically spend that much, you can get extra spending in a variety of creative ways. A few of these ways to get extra spending are by saving up large purchases that you have been planning on, or Christmas gift shopping ahead of time. There are many ways to meet minimum spending requirements to earn your bonus. A good reference for meeting minimum spending limits can be found on the Frequent Miler blog. Amber and Sean decided that they wanted to travel to the beautiful islands of Hawaii for their honeymoon! They’ve been to Oahu already, so wanted to experience something new… (Or some things)! They ended up finding flights that were available through Alaska Airlines and Hawaiian Airlines to travel from San Francisco to Kauai, then to Maui, and back home to San Francisco. Here’s a look at their flights and how many points and dollars it took them to book. They had just enough Chase Ultimate Rewards to cover all their flights. Overall, this was a great travel rewards redemption, which got excellent value out of their points. Their flights to and from Hawaii ended up with a value of 2.3 cents per point, and their inter-island flight earned a value of 1.4 cents per point. That comes out to a total of 2.1 cents per point. 64,000 points spent and $1,345.40 saved. This is just one example of how a single credit card signup bonus can make an enormous impact on the price of travel. Earning points through travel credit cards can give you extraordinary value. 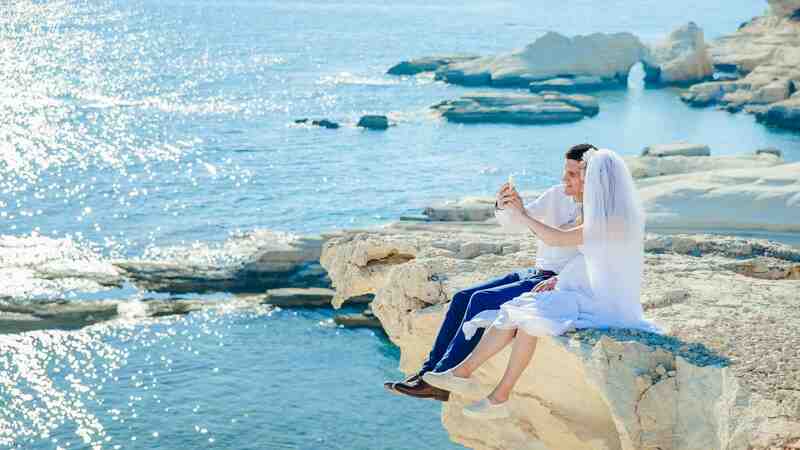 Amber and Sean ended up saving over $1,300 dollars on their honeymoon, which is pretty incredible. I’d say that’s quite a bit better than the $625 value that Chase puts on the introductory bonus! This credit card is specifically targeted towards people who travel regularly. If you travel on business many times a year, then this is going to be a card that will work out well for you. It will allow you to earn rewards consistently and you can use it to help lower your overall travel expenses. If you do not travel often enough, then this card will not work out as well for you. Even people who travel regularly for recreation have a great time with this credit card. If you are often booking hotels or flying to different locations, then this is going to be a perfect credit card to keep in your wallet. It helps you to earn rewards points and you will be able to redeem those points in a variety of different ways. This is a very useful card for people who travel so you will want to travel often enough to justify the annual fee. This is also going to be a great card for people who travel for a number of different purposes. You can earn rewards points on travel and dining in a number of ways. This is not limited to air travel and hotels as some other travel rewards cards are. Being able to earn the 2X points on bus travel, train travel, fast food dining, and other expenses will be helpful. It just might be the best travel card when you consider how easy it is to earn those points. One alternative credit card to keep in mind is the Bank of America travel rewards credit card. It is able to offer you similar benefits to the Chase Sapphire Preferred credit card but it does not have an annual fee. If the annual fee is something that is holding you back from wanting to pursue the Chase Sapphire Preferred Card, then this one might be one to look into. It is able to give you 1.5X points for every dollar spent and is a good travel credit card overall. Being that the Chase Sapphire Preferred Card is able to offer you 2X points, it is likely going to be the better choice for regular travelers. Just take the time to examine your options and you will be able to determine which is best. Those who travel all of the time will be able to enjoy the robust rewards options that Chase has to offer. The Bank of America Travel Rewards credit card is another good option but it may lack in some areas where the Chase card shines. 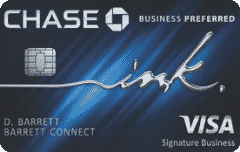 The Chase Sapphire Preferred Card is a fantastic travel credit card that has many perks. The annual fee is not unreasonable and you won’t have to deal with any foreign transaction fees when using this card. It is a practical travel credit card that will work great for anyone who travels often enough to warrant applying for it. This can help you to earn rewards quickly and you will always be able to redeem your rewards in a variety of different ways. This is seen as one of the premier travel credit cards for a reason. All of the perks that this credit card offers are top-notch and your overall experience should be stellar. If you have been waiting for the right travel credit card to come along, then you may wish to apply for this one. It has a great reputation and has been making customers happy for many years.